Fear the full moon; for on that day of lunacy the wrath of the werewolves is unleashed. For thousands of years, from the depths of the dark forests to the dimly lit city streets, these beasts have stalked us from the shadows. This book is the only thing standing between humanity and an overwhelming horde of lycanthropes. 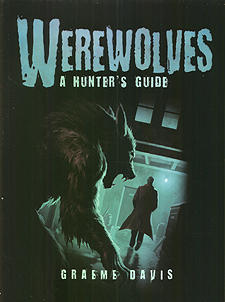 It reveals the huge variety of werewolf types, including viral, shamanic, and sorcerous, highlighting their strengths and weaknesses, and explaining the best methods to capture or kill each variety. It also tells the full history of werewolves and the shocking role that they have played in some of history's most significant events, especially their involvement in numerous wars. Finally, it covers the groups and societies devoted to hunting the creatures, whether for safety, study, or sport.